Want proof that your daily supplement works? How about 20 years’ worth? Reliv Classic, Relìv’s original groundbreaking formula, continues to set the industry standard for cutting-edge nutrition. Just two shakes a day provides a balanced array of soy protein, vitamins, minerals and select herbs to bring out your healthiest you. It’s complex nutrition made simple. Give your body what it needs to excel — and shake up a Classic day! Your health is worth more than a bulk multivitamin pill. 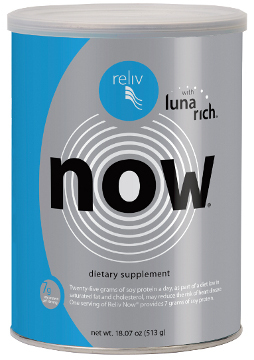 You deserve Reliv Now. Made with whole soy and loaded with vitamins, minerals and super-powered antioxidants, Reliv Now is built on the latest findings in nutrition science. Its uniquely effective formula delivers a balanced array of the most advanced ingredients to give your body what it needs to thrive. Why settle for ‘fine’ when you can feel ‘great!’? Get your health up to speed with Reliv Now. 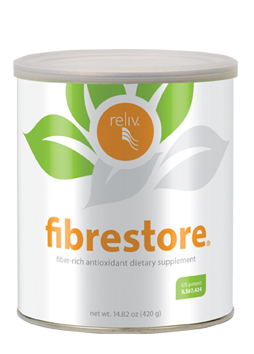 Proven Effective: Reliv Now and FibRestore® have been shown to help lower risk factors for cardiovascular disease. View the study below. 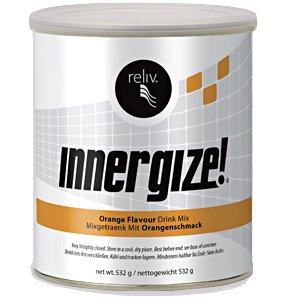 Whether you’re working out or working in the yard, Innergize! is scientifically designed to help you perform your best. The patented isotonic formula features ingredients like ChromeMate® and OptiZinc®, the most readily absorbed forms of chromium and zinc available. Plus, Innergize! contains vitamins, minerals and amino acids to give you added energy, promote oxygen absorption and boost your immune system. 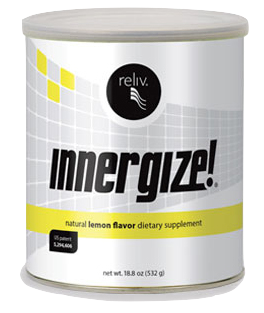 Stay in top form — on or off the field — with Innergize! Choose from two great flavors. Have you had your fiber fix today? Despite fiber’s many benefits — digestive health, weight loss, blood sugar control, lower cholesterol — 95% of Americans still don’t reach the American Dietetic Association’s recommended daily amount. Patented FibRestore fills in the gaps for you with 10 grams of soluble and insoluble fiber per serving. Key antioxidants and a proprietary blend of 21 herbs plus enzymes deliver additional benefits: more energy, a stronger immune system and a better way to face your day. According to a recent USDA survey, by the early teens most children receive less than 50% of the Reference Daily Intake (RDI) of key nutrients. 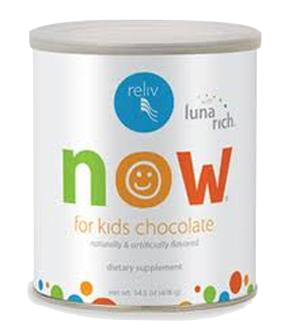 Relìv Now for Kids bridges the nutritional gap with a broad base of essential vitamins, minerals and micronutrients necessary to keep growing bodies healthy, as well as an advanced array of ingredients that research shows help boost energy and mental performance — it’s much more than just another vitamin pill. Give your kids a head start on a healthy life with Relìv. Ideal for children ages 2–12. Choose from two kid-pleasing flavors. Most of us don’t come close to consuming the nutrients we need to keep our bodies performing at their peak. 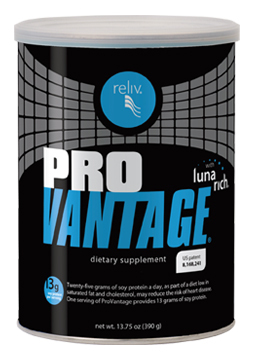 ProVantage meets the nutritional needs of physically active people to improve performance, endurance, recovery and repair. Packed with 13 grams of muscle-building soy protein, and a host of advanced ingredients, like Tonalin®, MCTs, Creatine, CoQ10 and supercharged amino acids, ProVantage marks a major advancement in the science of sports nutrition. It’s the edge you’ve been looking for. Women have unique nutritional needs at every stage of life. And there’s more to meeting those needs than just balancing hormones. 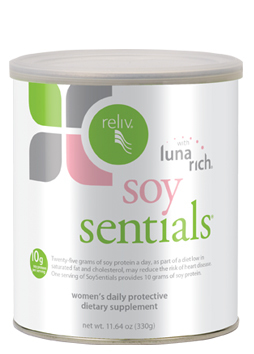 SoySentials’ unique blend of soy protein, potent antioxidants, probiotics and herbs gives you an unparalleled nutritional approach to women’s health. In addition to easing the symptoms of menopause and PMS, ingredients work together to promote bone health, support the immune system and keep you performing at your peak. Take control — and take care — with SoySentials. Our joints are at the center of every move we make. But the wear and tear of an active lifestyle makes it difficult to maintain healthy joint function. 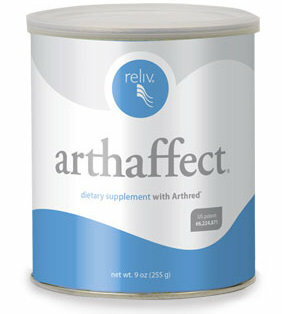 Patented Arthaffect provides a breakthrough nutritional solution for lifelong joint health. The formula’s 20+ ingredients work together to optimize joint performance, whether you’re a world-class athlete or simply finding it harder to move freely as you age. No other joint performance formula comes close. Bottom line: Arthaffect works. Every 35 seconds, someone in America dies of cardiovascular disease. Don’t become another statistic. 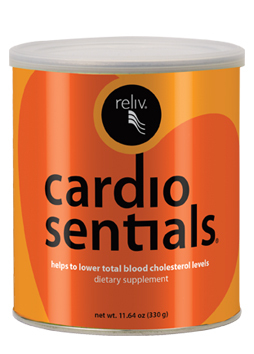 CardioSentials gives you a nutritional solution for total heart health. 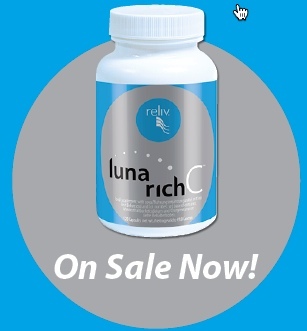 The revolutionary formula has been clinically shown to improve cholesterol, triglycerides and blood glucose levels. Phytosterols moderate cholesterol levels; policosanol improves coronary blood flow; and an array of potent antioxidants protect arterial walls. CardioSentials — take it to heart. Proven Effective: In a double-blind, placebo-controlled clinical trial, participants taking CardioSentials significantly reduced total cholesterol, LDL (bad) cholesterol and triglycerides, as well as increased HDL (good) cholesterol and lowered blood glucose levels. View complete study below. Now you can get better with age. With three proprietary complexes that address aging at every level, ReversAge delivers the most complete array of youth-promoting ingredients available anywhere — at a fraction of the cost of alternative anti-aging treatments. The Longevity Complex, containing Symbiotropin® and GPC, battles hormonal declines. The Antioxidant Complex, including Co-Q10 and Protykin®, fights free radical damage at the cellular level. And the Herbal Complex, rich in gingko biloba, maca, chlorella and more, cleanses, protects and revitalizes. 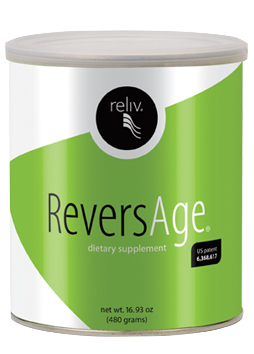 Feel young again with ReversAge®. Now you have a powerful new ally in the wellness war. As part of a healthy lifestyle, GlucAffect is clinically shown to help with healthy blood sugar management and support weight loss. The breakthrough formula unites nutrition science’s most cutting-edge ingredients, including Pycnogenol®, Omega 3 fish oils, salacia extract and Glucohelp™ — each of them clinically shown to improve blood sugar management and provides other health benefits. 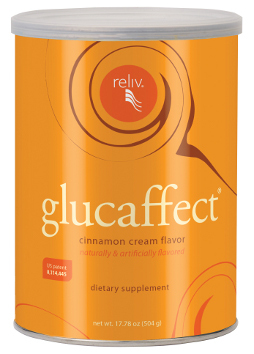 Get in control with GlucAffect. Proven Effective: In an eight-week clinical study of overweight individuals with elevated blood glucose levels, subjects taking four daily servings of GlucAffect® lowered their fasting blood glucose by an average of 30% and lost an average of nearly 16 pounds. View the clincal trial below. Our daily activities can leave us feeling worn out, unfocused and stressed. Turning to high-sugar caffeine drinks only brings an artificial lift — and a hard crash. But now there’s a better way to keep your edge: 24K, a healthy energy shot. Formulated with a synergistic blend of 24 active ingredients, 24K taps into your body’s natural vitality to provide energy, focus and stress relief. And with no caffeine, no sugar and only 5 calories per serving, it’s healthy energy for body, mind and spirit. Available in a multi-serving 28-ounce bottle and in two-ounce “double-shots” for when you’re on the go. 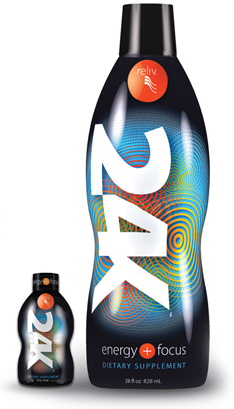 Reliv’s healthy energy shot, 24K was named the People’s Choice for Favorite New Consumer Product at the 2011 American Business Awards. Learn more under “media” below. Order before 14:00, it is a next day delivery in the UK and 3-4 days in the US and remember the base nutrition, which is the common entry point is Classic or Now with Innergize. After your order is on the system, I will contact you to go through a very quick new customer questionnaire form, so I can follow up with you, as we do not just sell product, we help people to get results.